Pound the cookies till they become crumbs and set aside. Top the ice-cream with cookie crumbs, and insert your choice of herbs into the dessert. Place flowers or any edible stuff that resemble plants. You can get these edible flowers from any baking stores. That’s it! 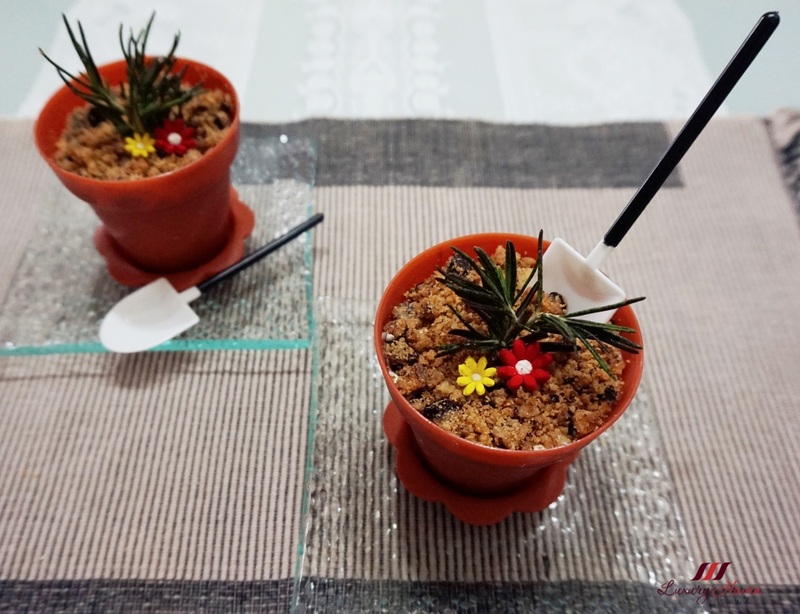 You are all set to impress your guests with these Salted Caramel Potted Plant Ice Cream Desserts!